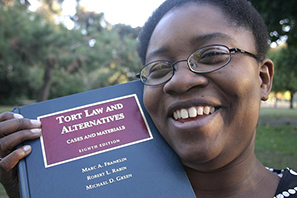 Learn the main elements and concepts of torts. Brief overview of intentional torts, negligence, and strict liability. This video explains the concept of intentional infliction of emotional distress. Examples of when a someone or a business may be held strictly liable. Topics include assault, battery, meaning of intent in tort law, defamation, and defenses to torts. This animated video covers the different kinds of torts businesses may be found liable for. Learn the five main intentional torts and their elements. The harmed party must prove act and intent when bringing tort claims. Learn the basic elements of negligence cases. This video explains the duty of care that is applicable in negligence actions. A deeper discussion of the duty of care in negligence. Explanation the structure and main elements of "Causation", "Remoteness" and "Damage" in Negligence.